Dear friends, to you our fraternal EASTER WISHES, from me and from everyone here in Matadi Liberia. 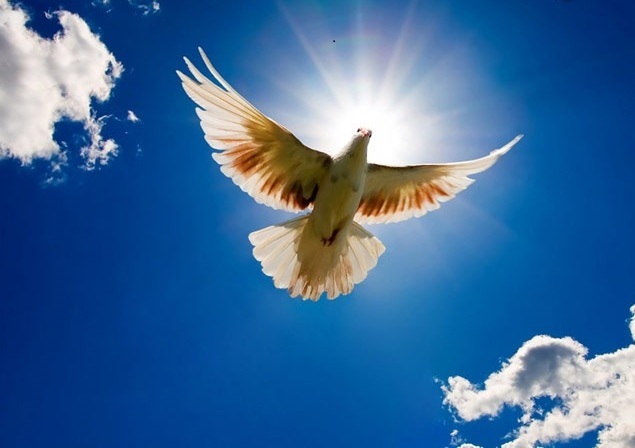 This year I chose, for Easter, the image of the dove, symbol of peace and for those who believe, an image of the Spirit of the Living God. The same Spirit whom the Risen Christ breathed on the Apostles telling them Peace be with you. It is the gift that comes from God the Father, full of Mercy, which for us, through the Life of Jesus wins the death. News, updated at 16th of March, report that Guinea, Liberia, Sierra Leone were declared free from transmission of Ebola, respectively 19 December 2015, 14 January and 17 March 2016. Globally to 13 March 2016, the total number of Ebola cases, confirmed, probable and suspect, is 28,639 and the dead were 11,316. Now for everybody continue the period of 90 days of heightened "surveillance", and should be retained, among the priorities, the objectives to assure for the more than 10.000 survivors, health services such as sperm screening, psychological counseling, eye exams, the general health check- up. In the first week of February has been among us the Rector Major Fr Angel Artime. He chose to celebrate here the feast of Don Bosco 2016. He has been among us like a father who is happy seeing his children growing in the love of life, like a father who rejoices when can share his life with them. His presence has been for us a refilling of Fatherhood. Again best WISHES because in Easter celebrations we could share the Spirit of life of the Risen Christ which is the Love of God, our true Father.